McEldrew Young attorneys represent victims of elder abuse and/or their families. Many elderly Pennsylvania residents require additional assistance as they grow older. Unfortunately, too many of them fall victim to elder abuse in a nursing home. 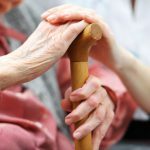 Our Philadelphia nursing home attorneys can assist your family in cases of nursing home neglect or abuse. 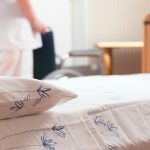 Negligence or reckless actions by workers at nursing homes can result in bedsores, injuries due to falls, dehydration and malnutrition among patients. If you or a family member has suffered from abuse at a short or long term care facility, seek the assistance of one of our personal injury attorneys. Neglect and inadequate medical care can risk the health and safety of the residents in the facility. 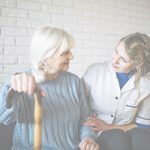 From the failure to treat serious staph infections or pressure ulcers to the failure to respond to calls for help, negligence at a residential care or skilled nursing facility can end in tragedy for families of elder abuse victims. 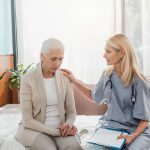 Families of Medicare and Medicaid patients should consider reporting problems at the health care facility to the U.S. Government under the False Claims Act. 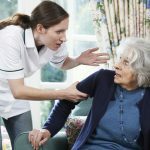 When the U.S. Government pays for nursing care that is essentially worthless, the claim for payment is fraudulent and violates the law. The U.S. Government can pursue treble damages as a result of this conduct.